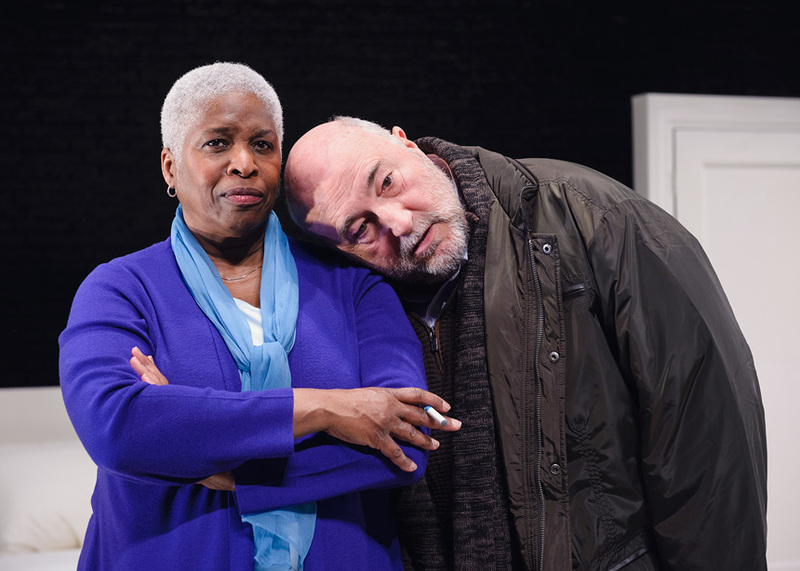 Cheryl Lynn Bruce as Hillary and John Apicella as Bill. Juan Francisco Villa as Other Guy, handing Cheryl Lynn Bruce a packet of information (right). 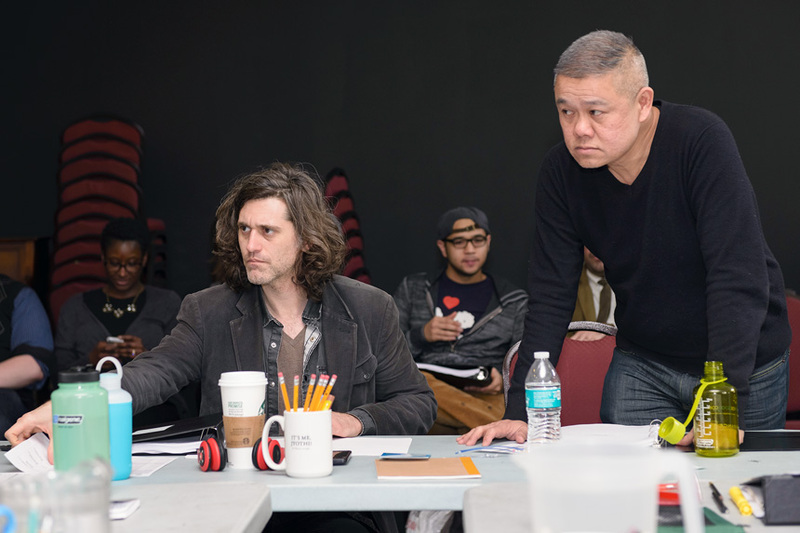 Playwright Lucas Hnath (left) and director Chay Yew (right) during first rehearsal. 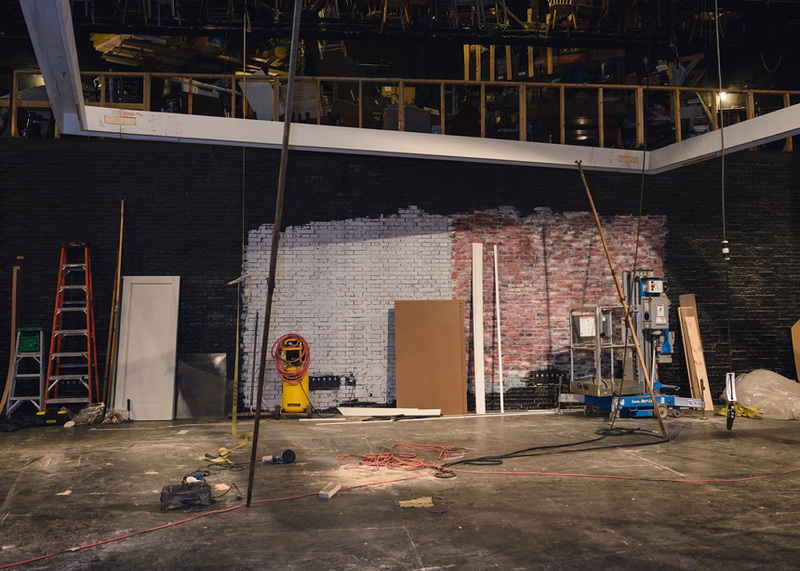 Construction of the set for Hillary and Clinton. 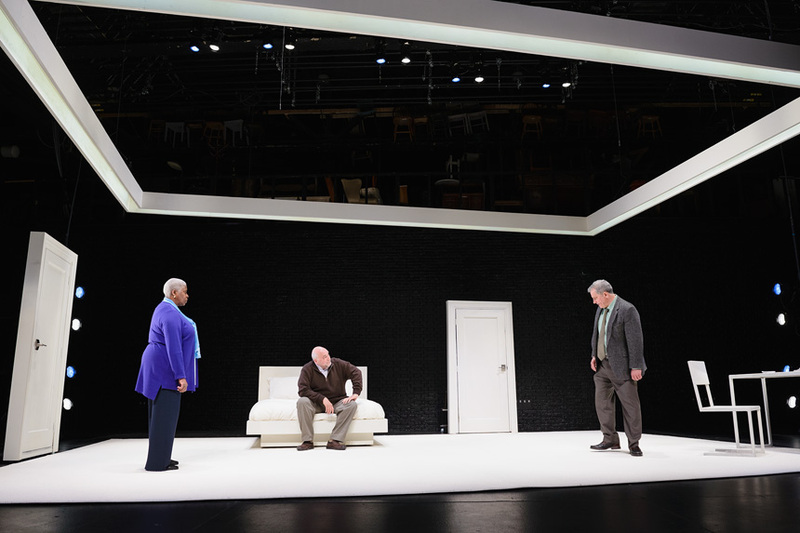 The final set design by William Boles. 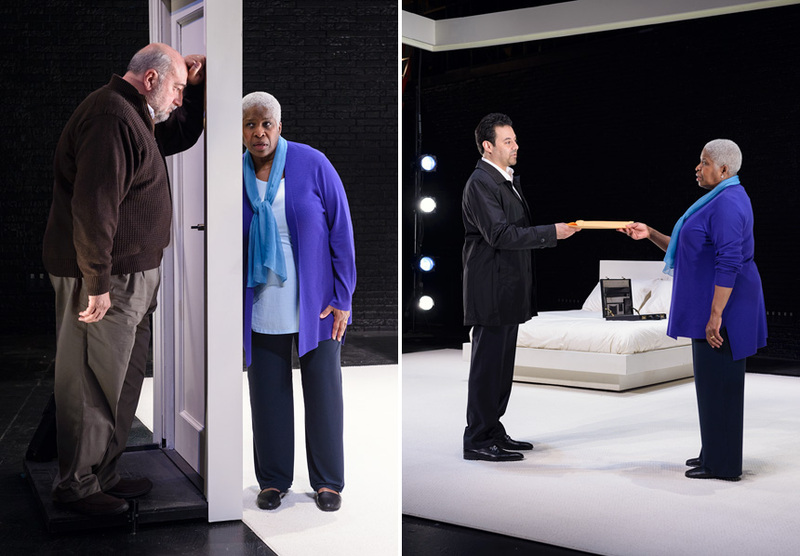 American Theatre Magazine did a piece about the show and the process of bringing it to life. A few of my photos were used in the piece! 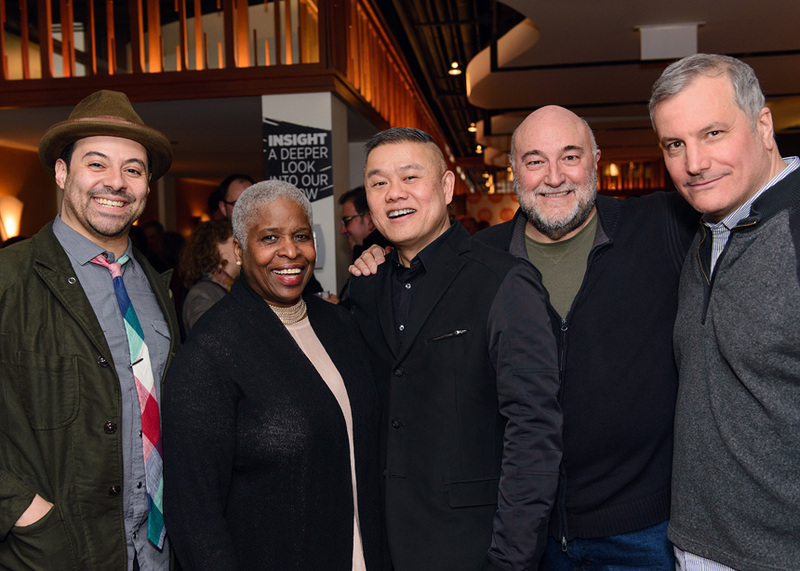 Opening night with Juan Francisco Villa, Cheryl Lynn Bruce, director Chay Yew, John Apicella, and Keith Kupferer. Here’s some of the work I did on the show Hillary and Clinton at Victory Gardens Theater. The coolest part? 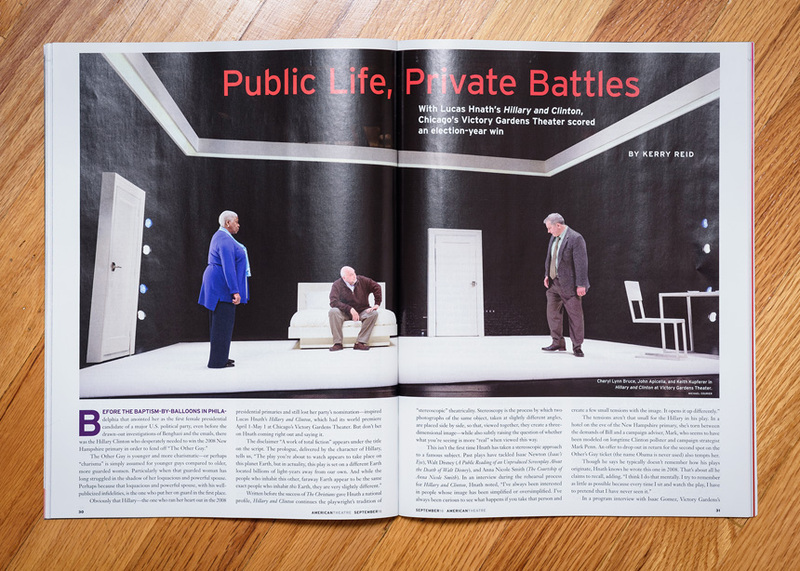 I had some of my work featured in American Theatre Magazine! You can read the online article here, where you can also view a few more photos of the production and the behind-the-scenes moments.